Improve your knowledge faster than ever before! This course covers the most common malignancies of childhood, how to manage these children, and why certain tumors only occur during the early years of life. By the end of this course you will thoroughly understand the differences and similarities of childhood leukemias and lymphomas and learn how to master the different types of CNS tumors. This course is perfect for medical students, residents and physicians preparing for the USMLE Step 2 or Step 3 exam, studying for their clerkship Shelf Exam, or wishing to review the essential components of pediatrics. Brian Alverson, MD, is Director for the Division of Pediatric Hospital Medicine at Hasbro Children's Hospital and Associate Professor of Pediatrics at Brown University in Providence, RI. He has won multiple teaching awards and knows exactly how to prep you for your exams in pediatrics. Jump right in and study with high-yield self-paced lectures, mnemonics, clinical pearls and downloadable slides. Start learning with Lecturio today! 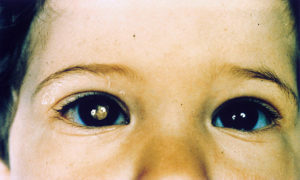 The retinoblastoma is a tumor of infancy and childhood and accounts for about 2 % of all malignant neoplasia in children. Experts recommend a simple screening test to diagnose retinoblastomas early: The frontal photography of an infant using flash reveals the most common symptom of retinoblastoma – leukocoria – and can be essential for an early diagnosis in order to facilitate adequate therapy. This article explains basic facts about tumors of the CNS. It includes neuroepithelial tumors like astrocytomas and fibrillary astrocytomas. It also runs through oligodendroglioma, medulloblastoma and meningeal tumors like meningioma and primary CNS lymphoma. The article covers the definition, epidemiology, etiology and causes of CNS tumors, in addition to classification, pathophysiology, symptoms, diagnosis (including history and examination), therapy and prognosis. Leukemias are considered as the most common form of malignant disorders in children. Acute lymphoblastic leukemia is responsible for approximately 70% of the cases of leukemia in children, while acute myeloid leukemia account for 30% of the cases. 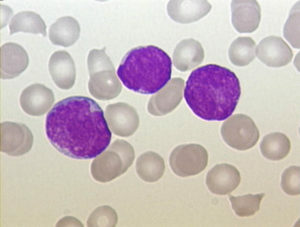 Patients with leukemia can present with symptoms related to the loss of normal functioning cells such as anemia, bleeding disorders, and infections, or symptoms related to the expansion of the leukemic cells and metastasis. Cytogenetic and molecular testing is essential as it can have an impact on the treatment and prognosis of the patient. Intensive combination chemotherapy is usually needed for the induction therapy, followed by consolidation therapy with or without stem cell transplantation. Patients with the Philadelphia chromosome should be administered a tyrosine kinase inhibitor and the option for stem cell transplantation. Nephroblastoma is a type of cancer that mostly occurs in children. Slightly more girls suffer from it than boys. In some cases, it is followed by malformation syndromes. Usually, this dangerous kidney tumor is discovered incidentally during regular check-ups. It is considered a good example of curable malignancy and usually has a positive prognosis due to interdisciplinary treatments. Neuroblastoma is a peripheral tumor of the sympathetic nervous system. 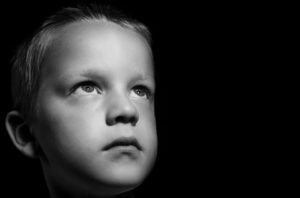 After brain tumors, it is the second most common malignant solid tumor in children. 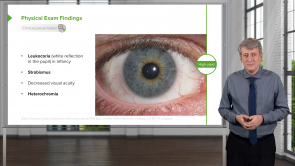 Since neuroblastoma can manifest with various symptoms, like ecchymosis of the eyelid or paraplegia, it is crucial to keep it in mind as a differential diagnosis and to be aware of clinical diagnostics and the basic treatment options. Pediatric lymphomas are rare compared to other malignancies in children. They can be classified into Hodgkin's and non-Hodgkin's lymphomas. 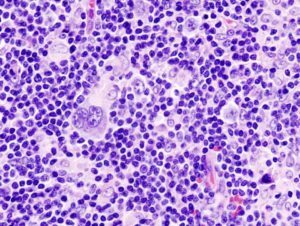 Hodgkin's lymphoma is more likely to present with systemic features such as fever, weight loss and night sweats. 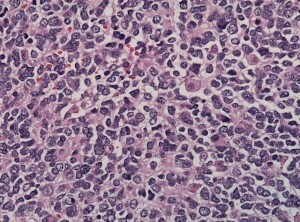 Non-Hodgkin's lymphoma is more likely to present with primary extranodal involvement. Histologic examination is essential in both conditions to confirm the diagnosis. Staging of the disease is important as it can change the treatment plan. Medulloblastomas, primitive neuroectodermal tumors and ependymomas constitute a significant number of central nervous system tumors in children. 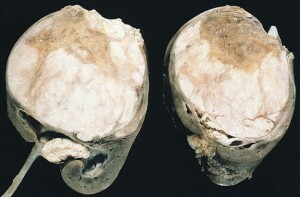 Medulloblastomas and PNETs are more likely to have been metastasized at the time of diagnosis, compared to ependymomas. The clinical presentation of medulloblastomas and ependymomas is usually due to increased intracranial pressure, while PNETs usually present with head and neck masses. Surgical resection of the tumors is the mainstay of treatment which should be followed by radiotherapy in most cases. Chemotherapy in medulloblastoma and PNET has a proven effect on survival, but its role in ependymomas is still unknown. 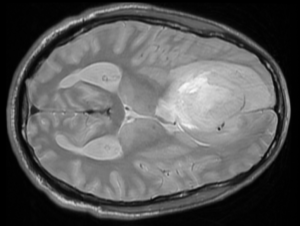 CNS tumors in pediatrics are rare but account for approximately 20 % of cancers in children. Most patients with CNS tumors have supratentorial brain tumors. Patients usually present with headaches, focal neurological deficits with or without seizures. Brain imaging is essential in the diagnosticworkup and a histological examination should be performed on an excisional or incisional biopsy. 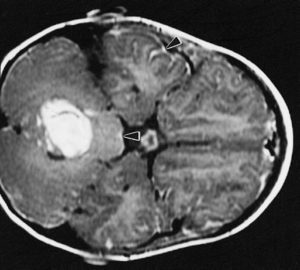 The histological classification of the tumor has an impact on the decision to offer adjunctive chemotherapy or radiotherapy after surgical resection. Brian Alverson, MD is the Director for the Division of Pediatric Hospital Medicine at Hasbro Children's Hospital and Associate Professor of Pediatrics at Brown University in Providence, RI. He has been active in pediatric education and research for 15 years.He has won over 25 teaching awards at two Ivy League Medical Schools. He is an author of the book "Step Up to Pediatrics" and over 40 peer reviewed articles. Dr. Alverson has extensive experience in preparing students for the USMLE exams and has test writing experience as well. Way too much superficial on pathology. Slides are just lists: I can find this in books. I would have liked something like diagrams or drawings.